Clarissa Shields and Michigan Chronicle, sports editor, Leland Stein III in London at the USA House after her gold medal victory. Ali, Frazier, Foreman, De la Hoya, Patterson and now Shields all have succeeded at Olympic Games. LONDON – US men’s Olympic boxers have won a record 108 medals. But since David Reid took gold at Atlanta in 1996, only one US man — Andre Ward, in 2004 — has taken the Olympic title. The list of pugilist that has taken the sweet science by storm over the years after achieving Olympic glory is simply legendary. Any list will have to start with Floyd Patterson (1952), Cassius Clay (now Muhammad Ali) in 1960, Joe Frazier (1964), George Foreman (1968), Sugar Ray Leonard (1976), Leon Spinks (1976), Michael Spinks (1976), Pernell Whitaker (1984), Mark Breland (1984), Evander Holyfield (1984), Riddick Bowe (1988), Roy Jones Jr. (1988) Oscar de la Hoya (1992), and David Reid (1996). There are others that found noteworthy success as professional fighters like Ray Seales (1972), John Tate (1976), Howard Davis (1976), Leo Randolph (1976), Steve McCrory (1984), Frank Tate (1984), Meldrick Taylor (1984), Tyrell Biggs (1984), Henry Tillman (1984), Michael Carbajal (1988), Ray Mercer (1988), Andrew Maynard (1988), Chris Byrd (1992), and Antonio Tarver 1996). All of the above mentioned Olympians medaled at their Olympic Games and went on to successful professional careers. Fast forward into the 2000 and anyone can see something has happened to USA Boxing. In fact, the 2012 Olympic Games is the first in history where the US men did not medal in any of the weight classes. 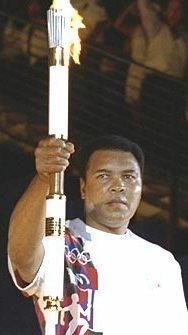 It took the US women to hold the boxing torch. In the first Games where women were allowed to participate in boxing, out of the three weight classes US women won two medals. Marlen Esparza won a bronze medal as a flyweight and Claressa Shields won the USA’s only boxing gold medal. Shields’ historic gold was the first US gold since Ward. Olympic boxing gold has been hard to obtain for the US. That makes 17-year-old Shield’s remarkable win over two world champion women on her way to gold even that more impressive. How does USA boxing get back on track? Are the mix martial arts diluting the talent pool? Surly the allure of college and professional football has taken away the Ali’s, Frazier’s and Foreman’s in US Boxing. Another problem is that the USA Boxing names trainers, but the trainers that have worked with the fighters cannot be in their corners at the Games. Who knows the fighters better than the men and women that train them? No one!! And as the sweet science continues to grow internationally the fighters are getting better and better. I looked at the Americans and they have people in their fighter’s corner that simply do not know the fighters they are charged to cajole. The US Olympic Committee is also disappointed by boxing’s medal-less men’s team. USOC CEO Scott Blackmun offered no specifics, but it’s clear the governing body expected more from US fighters, who left the Olympics empty handed for the first time in team history. The US men’s team, the most successful in Olympic history, lost nine of its last 10 bouts in London. USA Boxing has been criticized for a sharp decline in recent years, along with the fact that the coaching staff was not in place until just about a month before the games opened.